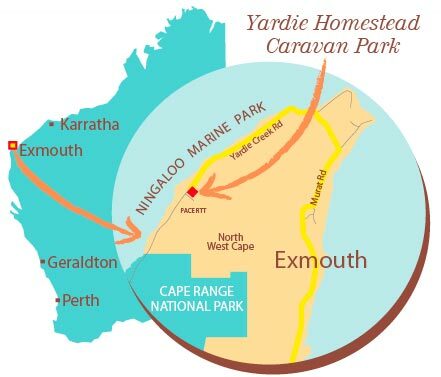 You’ve just arrived at Yardie Homestead Caravan Park and all of this lies in front of you. The Roscic Family welcomes you to share this very special place near Exmouth, adjacent to the Ningaloo Marine Park and just minutes from the entrance to the Cape Range National Park. Shady camping sites, self contained chalets, cabins and shearers quarters provide a range of accommodation facilities geared for relaxation, family and fun.